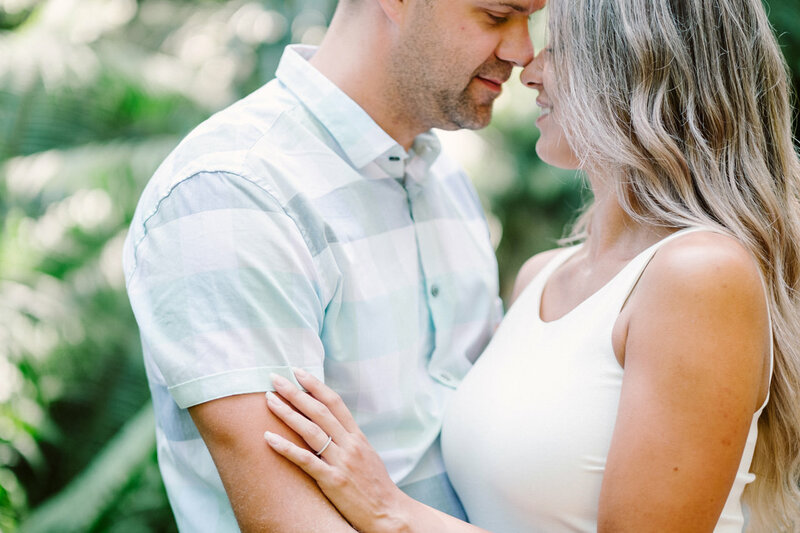 Many say that love is the greatest adventure, and we couldn’t agree more. Sometimes magic happens when you take a little risk to step out of your comfort zone. 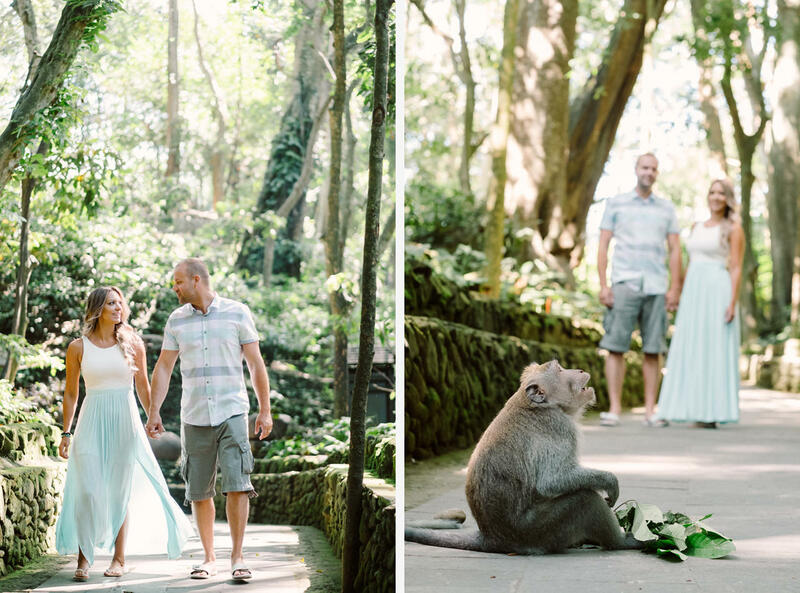 If you are a fun-loving couple looking for something a little different, perhaps a little bigger for your honeymoon session, maybe you can consider this Bali honeymoon photo at monkey forest of Lisa and Chris. 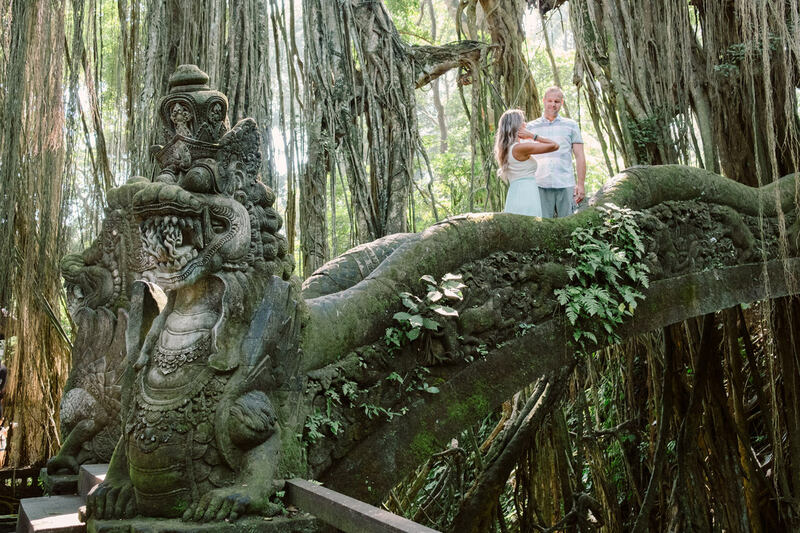 From the sacred forest and a Balinese temple, accompanying by their new cute little friends, they found some truly amazing backdrops on this Bali honeymoon photo at monkey forest. The Ubud Monkey Forest lies within the village of Padangtegal, which owns it. The village’s residents view the Monkey Forest as an important spiritual, economic, educational, and conservation center for the village. There are many of point of interest that you can see here. Other than around 700 monkeys, you also can see 186 species of trees in 12.5 hectares of forest, where will allowing you to get an abundant of fresh air. The presence of sacred forest is a demonstration of the harmonious coexistence of humans and nature. 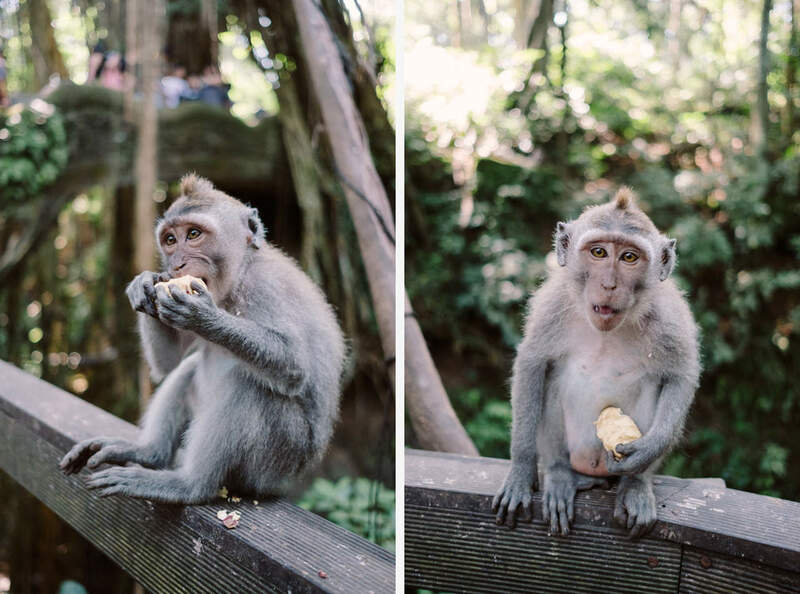 In Bali, sanctuaries such as the Monkey Forest are usually in sacred village areas, often surrounded by temples. These cultural sanctuaries are not only an important part of Balinese heritage, but also an important part of everyday live. Temple festivals are regularly held for the villagers and the gods in such areas. 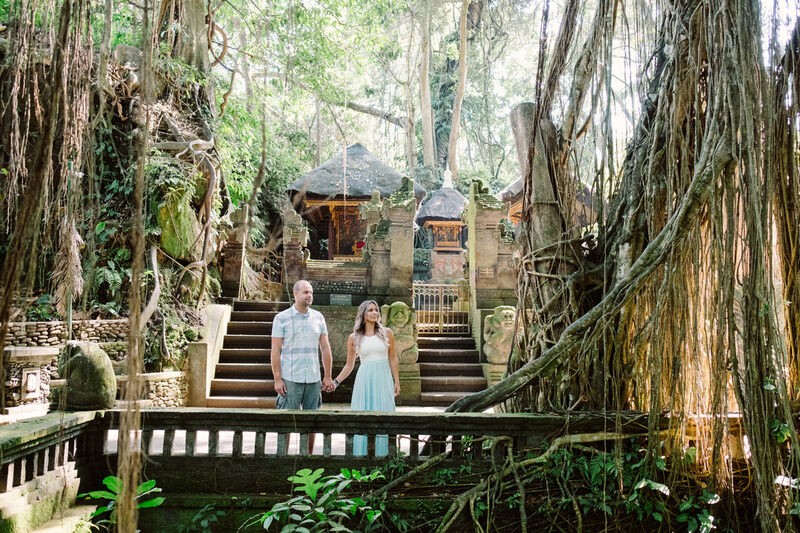 A Balinese temple is more than just a collection of pagodas and pavilions. The area enclosed by temple walls and the forest area surrounding it is sacred.